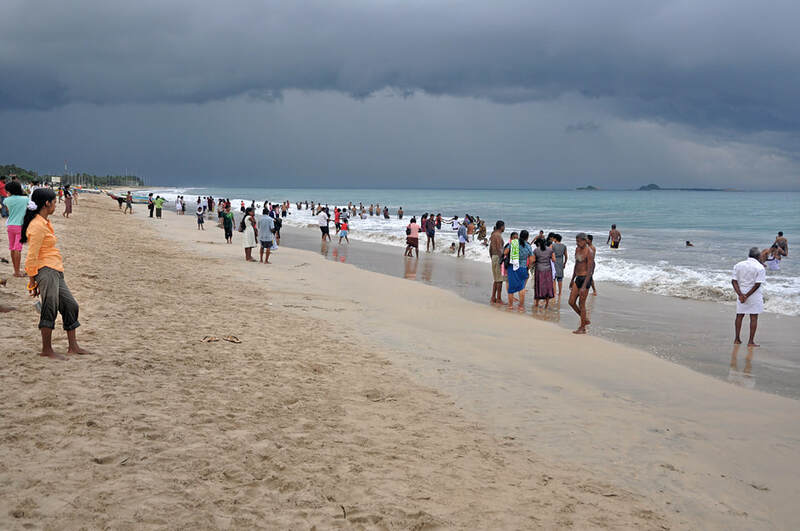 Nilaveli to the north of Trincomalee is one of Sri Lanka’s longest sandy beaches. After the civil war, it has become a major tourist destination, particularly for beach holiday makers who come to Sri Lanka during the northern summer months, as this is dry season at Sri Lanka’s East Coast. Nilaveli is a Tamil word translating to “moon-shine open land”. In Sinhala, the same word means “blue sand”. Nilaveli is a suburb of the Trincomalee, situated 16 km north of the city centre. In contrast to the village of Uppuveli, which is in between Trinco and Nilaveli, the latter is a dispersed settlement area. The 6 km long beach of Nilaveli is without bars and restaurant, hotel areas are scattered up. The best hotel is Nilaveli Beach Hotel. The main attraction is the 6 km long beach with pure white sand. The overall impression ist, that the beach is clean, but it must be said, the seaside is not entirely unspoiled, sometimes there can be parts which are garbage dump, regrettably. Apart from the long straight beachfront, Pigeon Island, which is declared national park in order to protect the coral reefs of the islets, is a major destination, where snorkeling activities are popular. Nilaveli is reommendable for beach holidays all year around, except from the cyclone season in November. Local peak season is from March to October, when the weather is dry and the sky is blue.